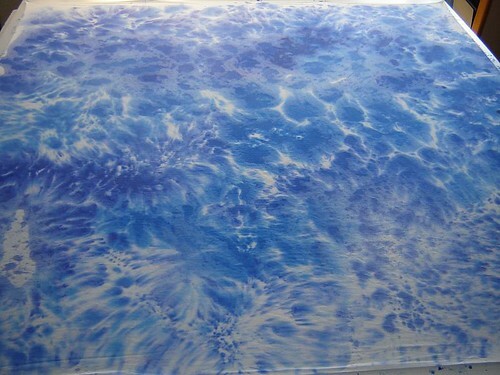 One of the things I’ve often found to be a great remedy for artistic blockage is fabric painting and dyeing. Painting more so than dyeing, truth to tell. Having completely depleted my hand-painted fabric supply over the past few months, I decided to have a go at some skies and oceans. Normally I paint outside, with the mess factor weighing in heavily as a reason. 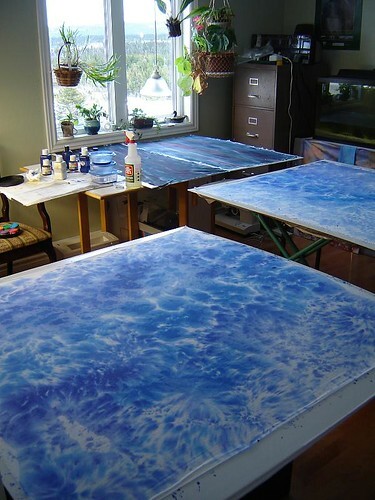 February in Newfoundland is not exactly….. warm, however, so I set up the studio for some inside work and turned up the heat a wee tad to speed drying. I painted this lot on corrugated plastic sheets, which are light-weight, resilient, waterproof, flat and easily stored. 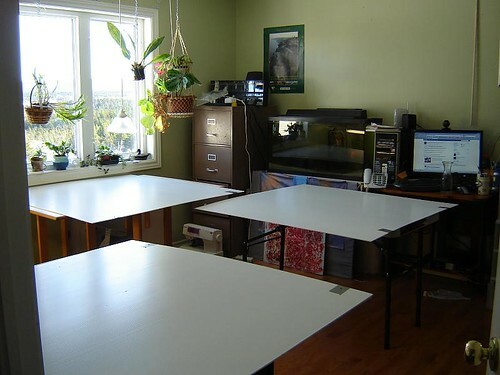 These are 48″ square, which is a comfortable size for working with indoors in a small studio. When I’m not painting on them, I use them as design walls and pin pieces in progress to them. As you can see, I had a successful day. This is only some of what was accomplished. I painted about eight metres of fabric, all told. 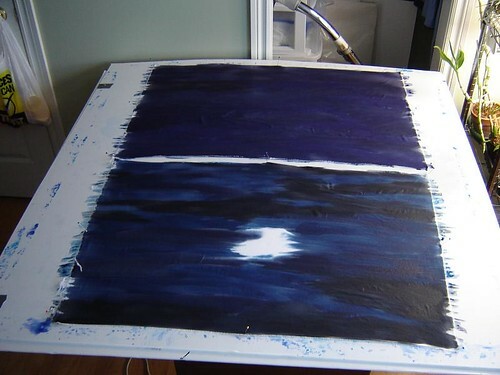 Night ocean and sky, drying. My studio, waiting for the paint to dry!